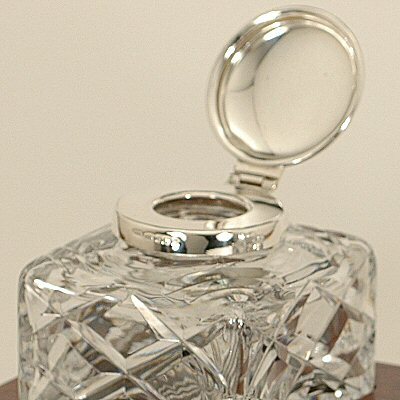 111 Crystal Inkwell - This beautiful inkwell is also mouth-blown from full lead English crystal and has been carefully hand-cut in the UK to produce this traditional pattern. 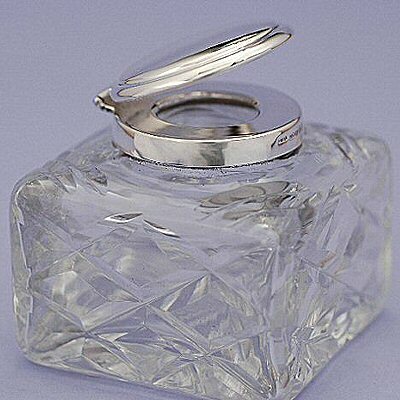 The hinged lid is made from either silver plate (sp) or solid silver (hmss). Unfortunately the constraints of picture size has distorted the image and does not show the fabulous cutting pattern. Approx 2�" by 2�" by 2�" high.